We have a very brief stay whilst attending a wedding but the room was clean and just what we needed. The staff were great and very helpful. Fantastic Value Hotel, a shame about associated restaurant. The hotel met all of our requirements and expectations. The staff were extremely friendly and helpful and we will be returning within the month. The only disappointing aspect of our stay was the restaurant associated to the hotel. On our arrival the receptionist kindly telephoned the restaurant to ensure they would be open that evening and was told that they would be, we made plans accordingly. On our return to the hotel we made ourselves ready for what we hoped would be a pleasant evening out only to find that the restaurant was not open and had closed due to exceptional circumstances. The exceptional circumstances we latter discovered was that they were not very busy. Excellent staff, as always at Ibis. Very convenient location for our journey. Clean and comfortable room and very good breakfast. Extremely nice evening meal at restaurant next door. Only complaints are hard toilet paper and crashing doors. You have soft close fitted to the main corridor and stair doors, but this doesn’t work until the doors are fully closed. This creates noise which is disturbing. Otherwise, we remain impressed by Ibis and their prices. easy to find, very quiet... and the people are very help... clean room... good atmospher..
Nice clean accommodation. Great Parking, and superb adjacent restaurant. Easy check in, nice clean room, large car park and brilliant nearby restaurant. My only complaint is that the towels are very thin and not very nice. 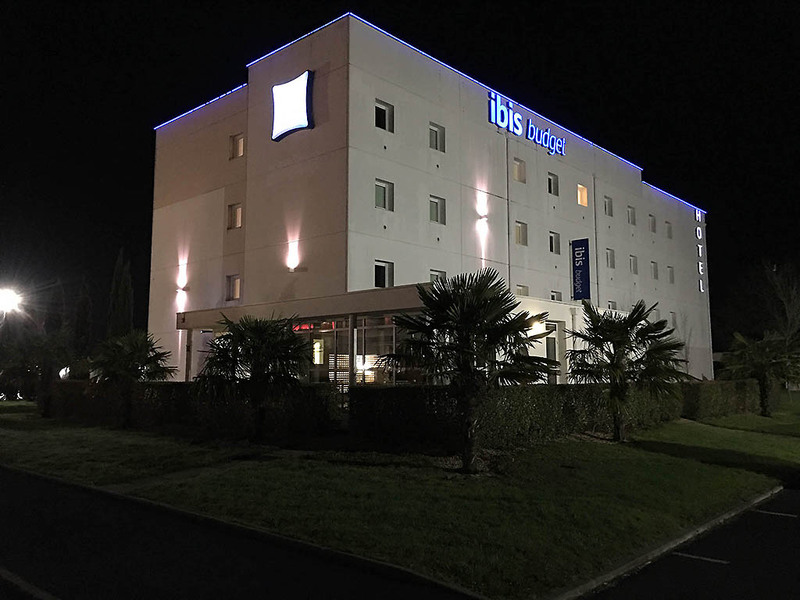 We had a good stay at the Ibis Hotel in Ancenis. Only one comment - the fans weren't working in the toilet cubicle and the shower cubicle and there no toilet brush. Lovely quiet spot, just what I needed after a days cycling. Receptionist spoke excellent English and I felt most embarrassed as I speak no French. She noticed my bicycle and changed me to a ground floor room so I could keep my prize possession with me and set off quickly the next morning after fueling up with as much breakfast as I could eat. The hotel room was very spacious for the price and very clean. I was also blown away by the restaurant attached to the hotel. Incredible! They opened just to get me a beer when I had washed, changed their Kir Royal to make it with Blackberry liquor and (most impressive of all) are capable of serving a 3 course Plant Based meal. If you were vegan, I think you could eat there... in the depths of France! I would really like to know if this place has a website, to post on a vegan forum I use. Great. Nice and simply. Very friendly staff. Always good at Ancenis, clean,and pleasant. Staff first class and welcoming. We always enjoy our stay at Ancenis because the rooms are always clean and tidy and the staff helpful.